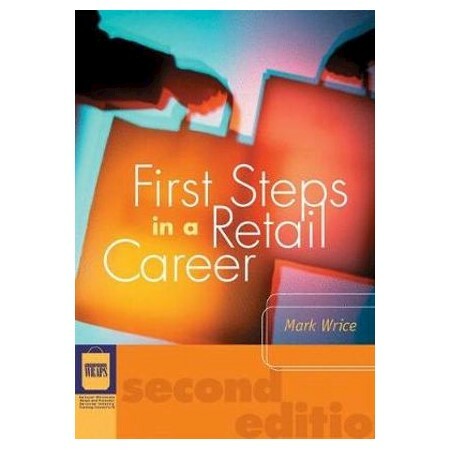 First Steps in a Retail Career, third edition, continues to be an invaluable introduction to the dynamic world of retailing. It provides a strong foundation for you to develop your skills and progress your career in the retail industry. The third edition is aligned to the new SIR07 Retail Package competency requirements and includes both updated information and competency criteria, providing a useful introduction to the concepts associated with working in the retail industry. This edition extends on many of the concepts discussed in the previous editions, reflecting changes to the Retail Package. Particularly attention is paid to the Workplace Communication and Retail Environment Chapters. As well as including a Best Practice Checklist in each chapter, the areas of Customer Service, Selling, Merchandising, Inventory, Safety and Security also see new elements discussed. Teachers and trainers will find this book valuable when used in conjunction with relevant curricula and competency-based teaching resources. This book is designed to support the National Retail Training Package and has been produced in consultation with National WRAPS. The book is suitable for Australian TAFE providers and Registered Trade Organisations (RTO) offering the SIR07 Retail Services Training Package, as well as organisations offering retail training programs (ie McDonald's, Myer etc). Mark Wrice is a specialist retail training consultant with extensive experience in the industry. He established MLW Training Consultants in 1992 and has worked with small independent retailers through to large multi-national companies, developing and facilitating training encompassing a wide variety of products and services.